Magnesium isn't only healthy as a trace element and helps against aching muscles but is also a good building material for notebooks - as a metal. That's what Sony thought and made the FW range's chassis out of the light material. You can read if the 16.4 inch bolide can convince in multimedia routine in this comprehensive review of the Sony Vaio FW51MF. Sony's FW range is currently composed of six different models that are all equipped with Intel's Core 2 Duo processors and a clock rate between 2.0 and 2.8 GHz, an ATI middle class graphic card and a memory of 4 to 8 GBytes. Sony allows the buyer to choose between two X black displays with different resolutions. You can either select 1600 x 900 pixels or a Full HD display with 1920 x 1080 pixels. The recommended retail price ranges from 859 euro to far beyond the 1500 euro mark - which isn't very surprising in view of an 8 GByte memory, magnesium case and an optional solid state drive. The street prices are about 50 to 100 euro less. Aside from that, you can configure your Vaio FW individually in Sony's official shop "Sonystyle". Sony's pleasant surcharge politics are striking: You can already build in a FullHD display for a surcharge of 10 euro, an ATI Radeon 4650, instead of the 4570, for a whole of 40 euro extra and a BluRay drive is attainable for 30 euro. In this regard, Sony proves to be fairer than the one or other computer manufacturer. Our model, with the name Vaio FW51MF, presents an upper class configuration and supplies a Core 2 Duo processor with 2.53 GHz, an ATI Radeon 4650 with one GByte graphic memory and a system memory of 6 GBytes. Sony throws in a FullHD display and fittingly a BluRay drive. Sony officially takes 1199 euro for this. The case is kept in a classic, common for some years, Sony design. The wrist rest, as well as the loudspeaker's cover above the keyboard are slightly elevated, and drop behind the case to a massive hinge, which rounded form is applied to the case's whole rear. The notebook's large power button, which glows green in an activated state and blinks red in standby mode, are on the right of this hinge. 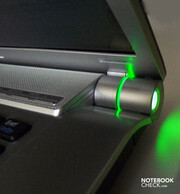 The operating mode is also visible for the user in front of the notebook as a small light strip that has been integrated into the hinge. The dark gray lid with a worked in and reflective Vaio logo is made of magnesium just like the case tray; however, the keyboard and display frame, the speaker's cover and the wrist rest are manufactured of a silver plastic. All parts have been treated with a matt finish, making them less susceptible for smudge. 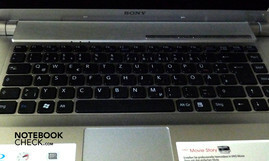 The keyboard remains black and has, like almost all Sony notebooks, single keys. Sony uses magnesium so that, on the one side, the case has a higher stability and on the other, the massive case's weight, measuring 26 x 38.2 x 4 centimeters, should benefit from it. However, the Vaio FW still weighs a proud 2890 grams despite this modern material and if you carry the adapter around, you have to add another 400 grams. The workmanship is overall well-made. All parts fit into each other without irregularities, the material have a stable and high-quality feel and the screen's massive magnesium lid prevents pressure from the back becoming visible on the display. However, the display's plastic frame is everything else but stable and can be twisted easily, whereby color deviations turn up on the screen. The high-end impression is also blemished somewhat because Sony has made the cover for RAM and hard disk on the bottom out of plastic that has a different color and structure in comparison to the surrounding magnesium case. This is especially noticeable because the hard disk cover reaches to under the front edge and is thus also visible in the front. The hinges have been placed on the screen's front edge so that the display's frame lower part covers the notebook's rear side in an opened state. This looks nice but prevents Sony from using the rear for connections. The battery can furthermore be removed when the display is opened, though. As already mentioned, Sony can't place any connections on the rear due to the hinge design. But the Japanese engineers have managed to accommodate numerous ports in the FW range's case, anyway. The wireless slider and two cardreaders, one for Sony's own memory stick HG Pro Duo and one for SD cards, on the front facing the user from left to right. On the far right there are the 3.5 mm jacks for a headphone and microphone. On the left, from front to back you find the following connections: a 34mm ExpressCard slot, a 4 Pin Firewire connection, an HDMI-out and a VGA port. Then come the LAN connection, the louver, and in the far back a connection for a Kensington lock and the DC-in built in to the hinge. On the right, also from front to back, the following interfaces are found: Three USB 2.0 connections, a BluRay drive and the power button in the far back. All ports, except for the DC-in, are stably built-in due to the magnesium case. Just especially the probably most used connection was very wobbly, at least in our prototype. We also had a few problems with the ports during our testing time with the Vaio FW51MF. The HDMI port didn't recognize our monitor, a Dell 2408WFP. Aside from that, our external hard disk, attached via USB 2.0, didn't want to start. We reckon that these were driver conflicts with Windows' 64 bit version. The port distribution isn't optimal for all users. Because Sony's FW is fairly heavy and big, it will scarcely be used mobile but rather as a space saving, stationary device. In this case, you usually will connect a mouse for a greater comfort. This is difficult because all three USB connections are found on the right's front side. This isn't a good place for righties or for lefties. Righties collide with the plugs on tight desks and snag up with the own mouse cable, whilst lefties have to lead the cable under, in front or behind the case. And because the BluRay drive is behind the three USB ports, stuck cables are predestined. Additionally, lefties could have difficulties with stiff monitor cables because external monitors are connected on the left's front side. In return, the audio connections have been well-placed. Headphone and microphone cables are out of the way on the front and can be connected and disconnected easily and fast. As for wireless interfaces, Sony has integrated the network card Intel Wireless WiFi Link 5100 via the Centrino 2 chip set, which is proficient of the standards 802.11 a/b/g, as well as n and is thus equipped for the future of higher transmission rates. There is also a Bluetooth interface for connecting wireless keyboards and mice, as well as communicating with cell phones or handhelds. Sony builds in the Bluetooth version 2.1 with EDR (Enhanced Data Rate) with about a 10 meter range. Sony offers purchasable accessories for almost all fields of notebook use. No matter if you want to supply your Vaio FW with a high performance battery to increase the runtime or a sun visor if the reflective display annoys you. Security fanatics get a warranty extension; if you're missing connections, you can put a USB docking station into the shopping cart and if you don't like your mouse anymore, you can find a Bluetooth laser mouse that is matched to the design of your notebook. Sony also has a large array of cases. No matter if you'd prefer a notebook back pack, a thin nylon case or an elegant Mandarina Duck courier case - Sony bids almost every, more or less sensible, carrying alternatives. Sony only includes the adapter and the battery as a companion in the carton. A quick start instruction, an Energy Star initiative statement in which Sony participates, as well as a trouble shooting and system recovery guide has also been added. If you're asking yourself: "Where is the recovery DVD? ", the answer is, unfortunately: "There is none." There has only been a hard disk space reserved for a hidden partition that deposits an image of the installed system and allows the user to recover his desktop surrounding from it, in case of problems. The problem: If the hard disk is destroyed, the operating system is also lost. So, you can create your own recovery DVD, but you'll need a total of three DVD blanks. The included Windows 7 Home Premium 64 bit fits on one DVD in the original version, so the high space requirement of Sony's configuration is probably due to the numerous additional programs that the Japanese have installed on the Vaio FW. A few are feasible, some quite nice, but most are simply peeving. Great, that Sony has included the DVD and BluRay player WinDVD, good that Vaio Update automatically searches for new system drivers. Also good that you can set many of your system parameters in the Vaio Control Center. Adobe Photoshop elements and Premiere elements are high-end programs and have been well-attuned to the notebook's operating field. Vaio Gate will be a nice gimmick for some users, as it displays a task bar ála Mac OS X and RSS feeds. Sony's Media Gallery is nice to look at and a good alternative to Window's Media Center. But of what use is an adware version of an only limited Microsoft Works or a 60 day trial version of Microsoft Word on the hard disk. Or a virus scan trial version? Of course, Sony earns money with it, but most experienced users will likely be rather annoyed and the system will be slowed down for inexperienced users and in the worst case, security breaches turn up after the trial version's expiry. Sony assembles its writing device with single keys (chiclet design) and leaves fairly large gaps between the single keys. This is supposed to prevent you unintentionally pressing several keys at once and works quite fine. We were able to accommodate ourselves quickly to the keyboard, as the plane keys have a good typing feel, respond reliably and convey a good feedback via key stroke. Although the case is quite broad due to the 16:9 format, Sony didn't manage to integrate a numerical block, probably because of the large gaps between the keys. In return, only few functions, such as the display's brightness, have to be triggered via "Fn" key combinations. 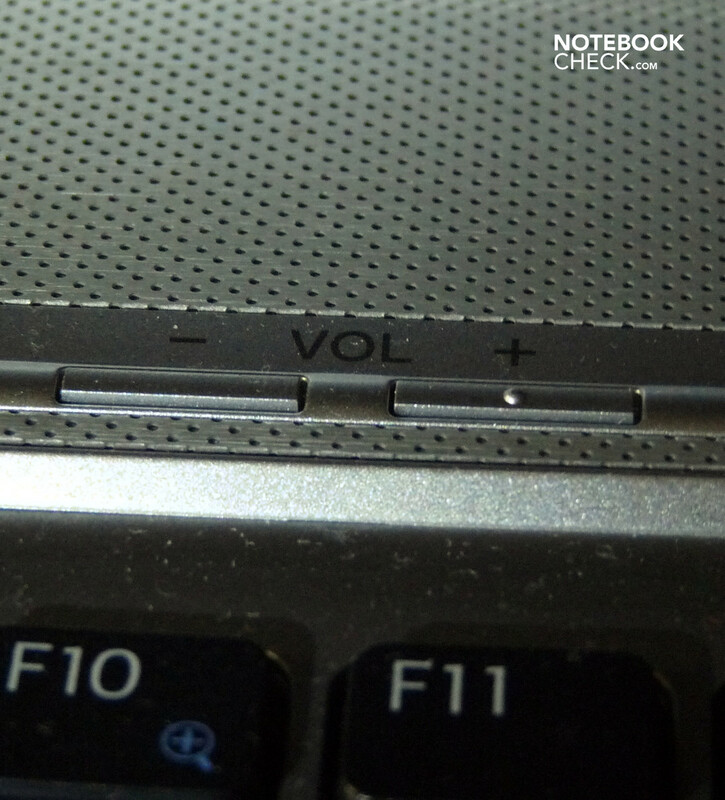 The volume can, for example, be controlled in a multimedia bar that is integrated in the speaker's cover. The touchpad has been sufficiently sized and can be distinguished optically and haptically from the surrounding wrist rest because it's been submerged, has a lighter color and dot pattern. Also, the finger glides smoothly over the surface and both silvery and big keys underneath the touchpad respond reliably. The touchpad also supports multi-touch gestures, with which you can, for example, zoom or scroll vertically with two fingers. This works quite well, but every now and then gestures are triggered unintentionally. Sony's X-black screens have scored well in previous reviews: A good illumination, high contrasts and clear color representation underline this image of the Japanese manufacturer in this regard. One thing first, though: The 16.4 inch FullHD display of our prototype couldn't live up to the expectations in some points. The resolution of 1920 x 1080 pixels result in a display format of 16:9, which has a lot of width but a bit less height and can be annoying in text documents and websites. Additionally, the high resolution also has a high DPI of 134. This means that objects, such as writing or symbols, are displayed quite small in many operating systems. You can usually magnify these objects, but older programs could cause problems and, for instance, cut texts. Sony declares a color authenticity of 100% for its display and in fact, the colors are luminous and the focus appears to be subjectively good. The black value also reaches a pleasing evaluation of 0.56, which then again is beneficial for the assessed contrast. A value of 541:1 means that white spots on the screen are 541 times as bright as black ones. Sony's X black display exceeds many other notebook screens a multiple times with this value. Until now all evaluations were pleasing, but now we confront the display's problem - its uneven illumination. Whilst a bright 303 cd/m2 were measured in the center, it's only 195.9 cd/m2 in the upper left corner. The screen is only homogenously illuminated up to 65% and this could lead to gray shimmers on large color areas. At least the average brightness of 232 cd/m2 is quite good. Additionally, Sony treats its display, as it's usual for most consumer notebooks, with a glossy surface that makes an outdoor use difficult and also more often reflects the user's image than the actual content in bright interiors. 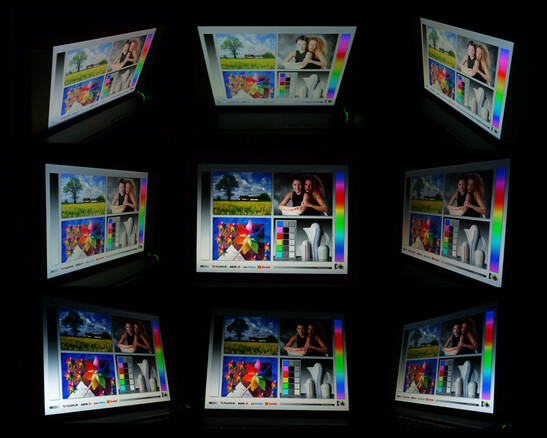 When sitting in front of Sony's Vaio FW display, you see a stable image out of many positions. Particularly, you can look at the display in obtuse angles on the vertical plane without having to deal with big color deviations. The horizontal plane is a bit more limited but especially in comparison to other displays, it's still alright. 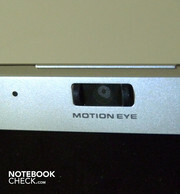 The heart of a notebook is its processor. 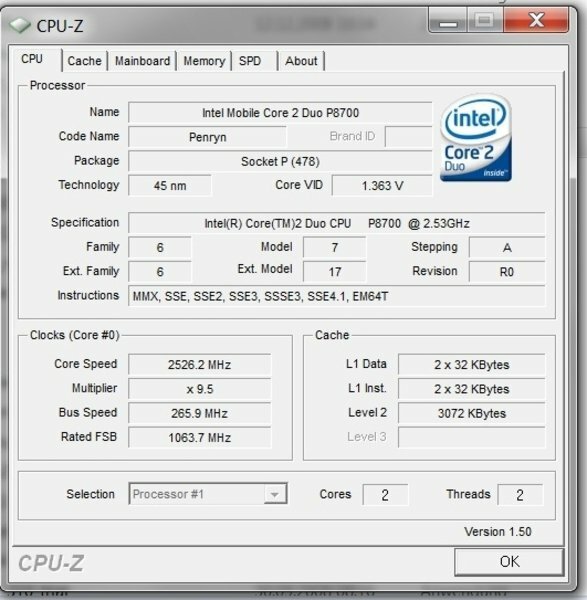 Sony has chosen an Intel Core 2 Duo P8700 with 2.53 GHz for our prototype. 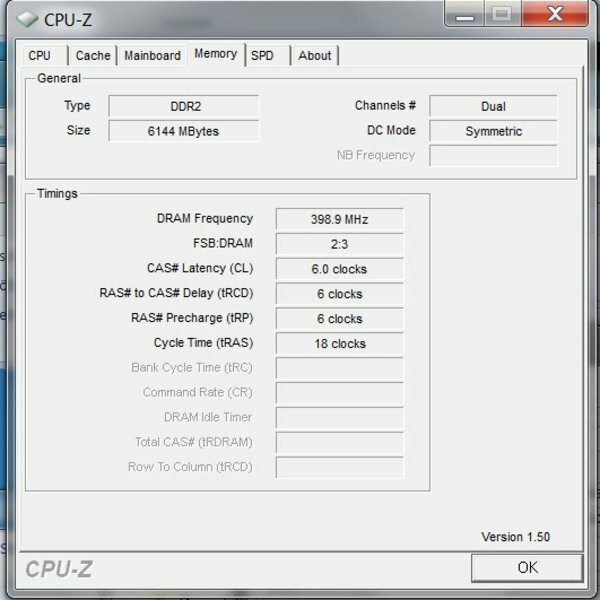 A 1066 MHz frontsidebus and a 3 MB level 2 cache are available for the processor. 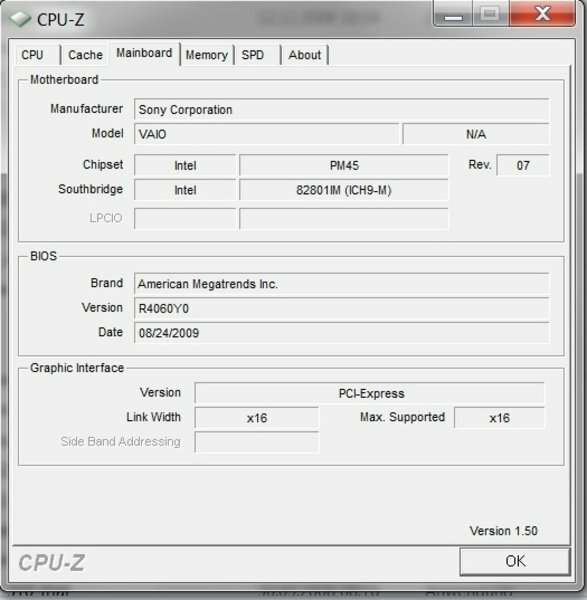 The "P" in front of the serial number indicates that the processor has a power consumption of 25 watts and is therewith more energy saving than the mobile Core 2 Duo processor that have a "T" in front of the serial number. 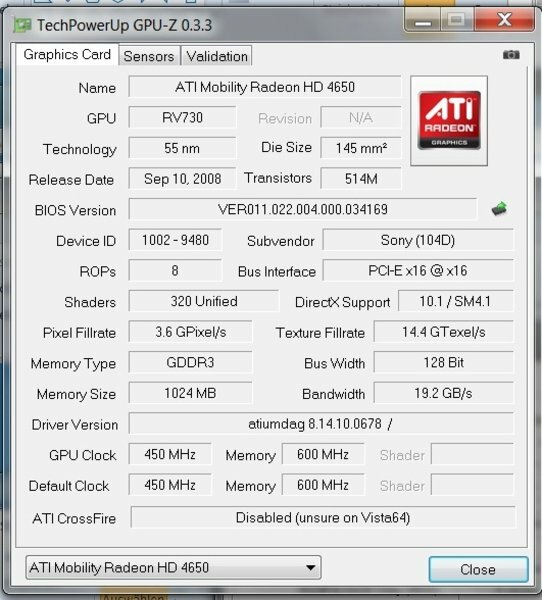 Sony uses an ATI Radeon 4650 with a one GByte memory as the graphic card. The GPU also borrows up to 1790 MBytes from the main memory if the internal memory isn't enough. Thus, the graphic memory has a total of up to 2790 MBytes available. A 6 GByte RAM has been built into our prototype, a maximum of 8 GBytes would be possible. 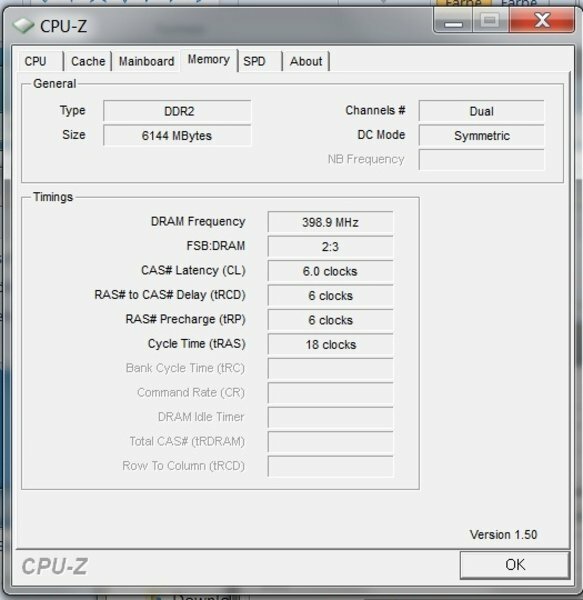 The RAM can be efficiently used due to the 64 bit system. Sony achieves the 6 GBytes with a 4 GByte and a 2 GByte module, which has the disadvantage that the dual channel technology can't be used that offers a higher velocity. It only works when two equally sized modules are built in. Because 4 GByte modules are still fairly expensive, Sony saves somewhere else and doesn't build in a fast DDR3 memory, but only makes a DDR2 SDRAM with a clock rate of 800 MHz available instead. A good up to very good application performance can be expected due to the high processor rate, the two computing cores and the generous RAM, whereas merely the slow DDR2 memory could prove to slow the system down. 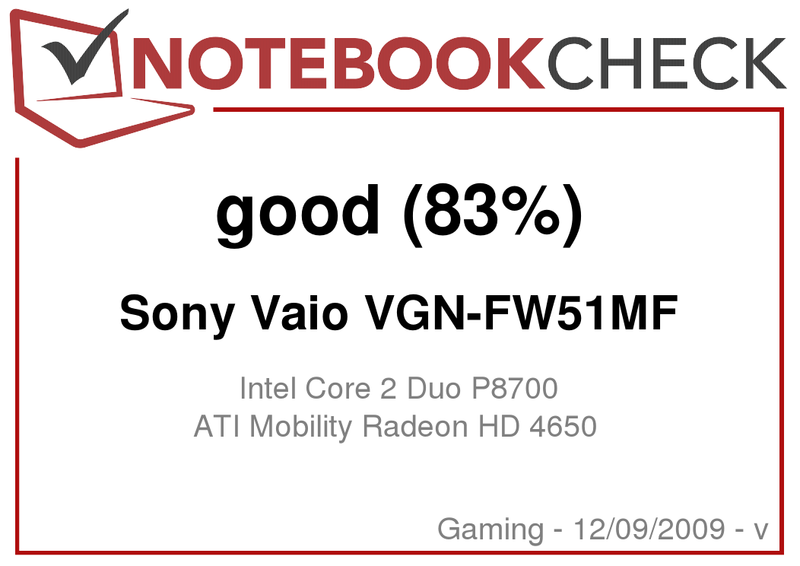 In fact, the Vaio FW51MF shows itself as slightly superior to the majority of its competitors in almost all application benchmarks: 4021 points in the PCMark Vantage and 5781 points in the multi-core rendering test of Cinebench R10 are values that exceed most of the competitors. It's also becoming evident that this advantage won't last long because Intel's new processor generation, the Core i7, exceeds these values even more in recent tests. However, currently almost all software, even the more demanding, should run on the Vaio FW without further problems. The hard disk comes from Seagate, has a data capacity of 500 GBytes and rotates with 5400 revolutions per minute. 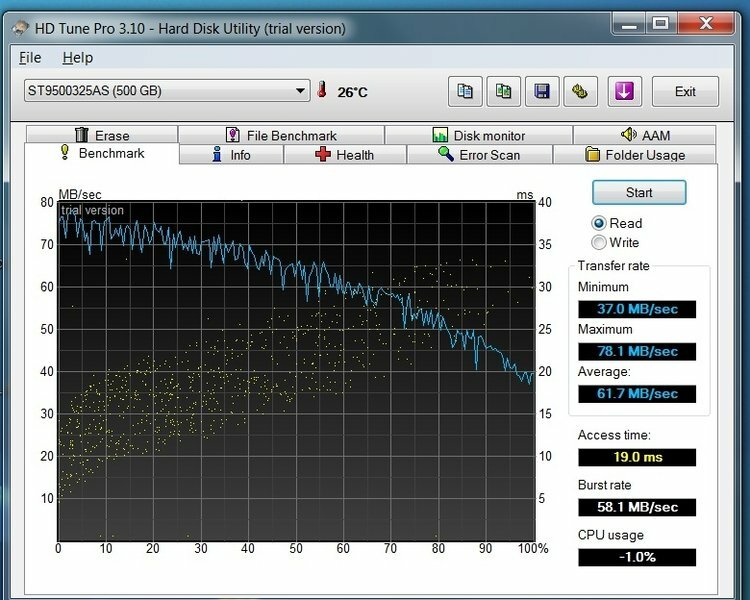 The hard disk stands out in the HD Tune Pro benchmark with a stably high data throughput rate without interruptions. The disk reads with an average of 61.7 MBytes per second. The access rate of 19 milliseconds is also within a normal field. 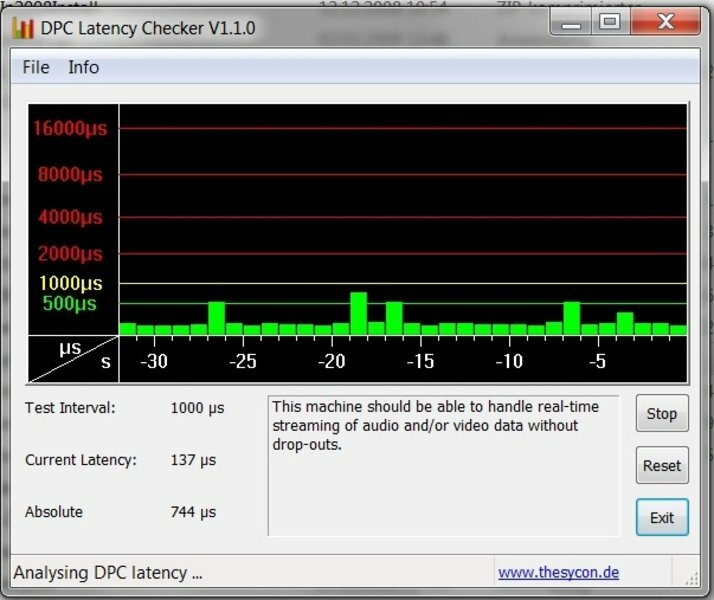 With the DPC Latency Checker we test if the operating system handles processes fast enough to communicate with external devices in real-time. It can come to audio interruption with external sound cards, for example, if this isn't the case. Erroneous drivers of other devices could be one reason. The Sony FW51MF proves to be exemplary and only delivers deflections within a green field. Therefore, there shouldn't be any problems with external devices in this regard. Due to ATI's middle class graphic card, Radeon 4650, with one GByte dedicated memory, the values of the gaming benchmarks also turn out average. Current games should run without difficulties but only with maximum medium detail settings and not in the display's native FullHD resolution. To be more precise, Sony's Vaio FW achieves an average of 119.4 frames in low detail settings and a resolution of 800 x 600 pixels in the very latest "Call of Duty: Modern Warfare 2". The frame rate plummets to 32 frames when the resolution is increased to 1024 x 768 and medium details and a two-fold anti-aliasing are added. This is still playable but you have to count with occasional jolts. Finally, in the display's native resolution and with ultra high details, the system merely achieves 16.1 frames, which rather looks like a slideshow. Other current games, like the race game "Need for Speed: Shift" or the role game "Risen", show a similar behavior. They can be played without bigger problems in low and medium detail settings but the Vaio FW is overtaxed under high demand. Our prototype presented itself as modest in the fan noise, at first. We measured an average volume level of 33.2 dB(A) in standby. Thus, the fan noise should only be audible for those with very sensitive ears. The hard disk also remained at this level: it was barely audible in the background with 33.4 dB(A). The built-in BluRay drive gets a bit louder with 38.2 dB(A), especially when you have just inserted a data carrier. Sony's FW changes its noise behavior under load, though. The fan then reaches a maximum of 44.8 dB(A), which is very audible. In addition, there is a disturbing pulsating that you notice much more than a constant fan noise. Basically, playing games or working with the Sony FW 51MF is possible without further ado, even if a noise sensitive user is sitting in front of the notebook. The maximum volume values are alright in view of the given performance. You have to live with the pulsing fan, though. 38.8 degrees Celsius would be light fever for a human - for a notebook, such a temperature is very tolerable. Especially, if it's the maximum value under full load. The Sony FW reaches it in the left center on the bottom. You can take the notebook on your lap without hesitation and without it coming to an unpleasant heating. 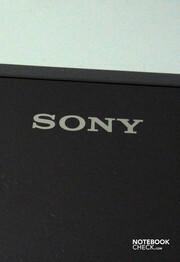 The Sony FW's upper side heats up to a similar 37.9 degrees, also in the left center area. The right side, in the area of the wrist rest, stays the coolest with 28.4 degrees. 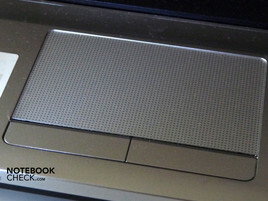 When the notebook doesn't have anything to do, the temperatures are more even over the whole case surface, likely because of the lower cooling capacity. As the left side was almost 10 degrees warmer than the right under load, the temperatures are now equal everywhere and only increase slightly. Thus, the minimum value in the upper side's right lower area rises to 30.2 degrees Celsius. We once again measured the maximum temperature of 36.3 degrees on the bottom's left center. The Sony FW's temperature development can be described as very good without hesitation because none of the areas get exceedingly hot and even the wrist rest only warms up a bit more so that moist hands should barely turn up. Conclusively, the adapter should be mentioned, which can get quite warm. You won't want to hold for a longer time in view of a maximum of 50.1 degrees Celsius. (±) The average temperature for the upper side under maximal load is 34.1 °C / 93 F, compared to the average of 32.9 °C / 91 F for the devices in the class Gaming. (+) The maximum temperature on the upper side is 37.9 °C / 100 F, compared to the average of 39.3 °C / 103 F, ranging from 21.6 to 68.8 °C for the class Gaming. (±) In idle usage, the average temperature for the upper side is 32.5 °C / 91 F, compared to the device average of 32.9 °C / 91 F.
(-) The average temperature of the palmrest area of similar devices was 28.7 °C / 83.7 F (-7.4 °C / -13.3 F). The stereo loudspeakers have been placed above the keyboard behind a perforated, silver cover and supply a sound that is very treble prone and lacks bass pressure. The sound can be improved with Windows' equalizer settings, whereas the various pre-settings should be experimented with until you find the sound that pleases you the most. The loudspeakers have a fairly high volume but loud background noises aren't drowned, though. The speakers should suffice for closed rooms and the one or other movie. Agreeably, Sony has treated the volume control to an own button that is integrated in the multimedia bar. That the headphone-out provides the usual rich and full sound without clacking or a white noise is also pleasant. In view of the luminous display and the quite efficient components, you shouldn't count on new records in battery life. Sony tries it anyway and equips the Vaio FW with a 50.6 Wh battery from its own production. This battery gives the Sony FW a maximum runtime of 4 hours and 36 minutes. However, all energy savings options have to be on maximum, the display's brightness reduced, WLAN disabled and you should only demand easy tasks, such as reading a text document, from the notebook. 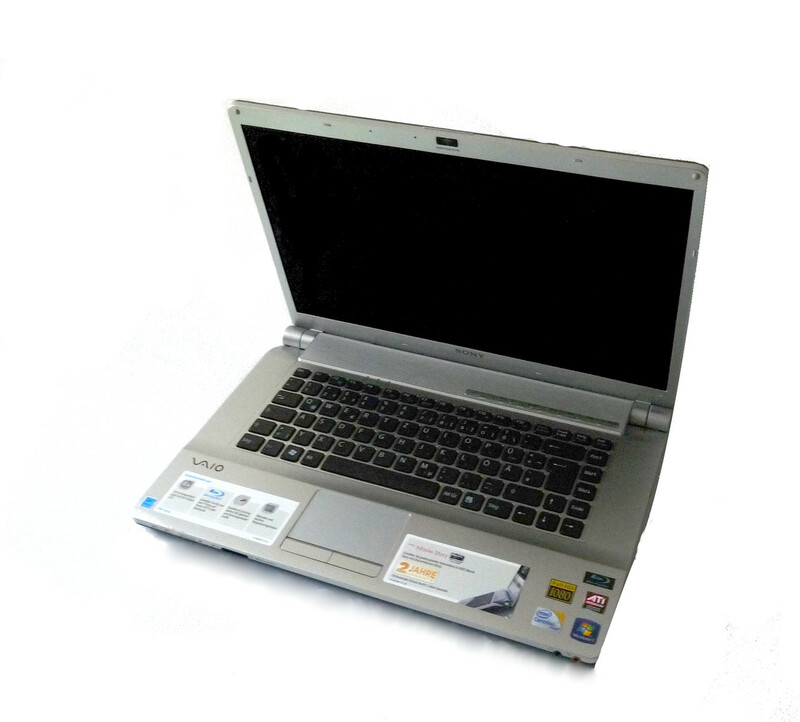 In return, if you put a very high demand on your notebook, with maximum display brightness, WLAN enabled and computing 3D graphics, the battery only lasts for one hour and 8 minutes. Logically, the values in our practical test with WLAN surfing and DVD rendering settle between these values. If you access the internet wirelessly, the battery will last for one hour and 35 minutes, a DVD movie shouldn't be longer than one hour and 28 minutes. This is definitely enough for short movies, but you'll have to look for a plug with epic blockbusters. Sony has the Vaio FW's power consumption well under control. If you barely have a demand on the silver multimedia notebook, you can get along with an average of 26.8 watts. The office light usually needs more electricity than the laptop. The notebook drains a maximum of 29 watts from the mains without load. Careful, when the pre-installed screen saver is enabled: the Vaio FW then suddenly consumes 43.3 watts, which are over 30% more. This isn't a wonder, though because Sony doesn't include a normal screen saver but lets the newest movie trailers from Sony's movie division, including sound, flicker over the screen, instead. A nice idea but if you want to save energy, you should disable the screen saver or at least change to a more energy saving alternative. Finally, the notebook consumes an acceptable average of 68.4 watts under full load. Sony includes an adapter that can supply up to 90 watts. Sony's FW range isn't a light weight, even if the attempt has been made to save weight and gain stability with using the state-of-the-art material, magnesium. The range has been conceived as a solo entertainer for home use, which is evident in the tight battery life. But the Sony FW does its work quite well on the desk at home - it's always cool, at least under load also pleasantly quiet and you can work comfortably on it as it's equipped with very good input devices. This may also include a more demanding task because the 6 GByte RAM, the fast dual-core processor and the middle class graphic card provide for performance values in a solid upper middle field. If Sony had used the Core i7 range's newest processor technology, there would have likely been a few more performance points possible. This step would have been worth consideration, especially as the Sony FW isn't the cheapest offer on the market. The design also won't suit everyone, but at least it allows itself only few and minute flaws in workmanship, such as the very yielding display frame. The enclosed display proves to be better in many fields than some other competitor, but slips up with the very uneven illumination. Overall, Sony bundles a very impressive package of strong performance, a big RAM and extravagant design. Gamers that aren't too demanding and who like the design will be satisfied in any case. Also, if you like the exceptional and are attracted to unusual materials, you can take the Sony FW without a doubt. Sony wants to cover the mainstream multimedia field with the Vaio FW. The display brightness can only be controlled with key combinations. The display's frame isn't exactly stable, either. An external monitor can be connected via HDMI. Fitting to the FullHD display, there is also a BluRay drive. A cardreader is onboard, too. 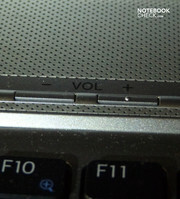 The volume can be controlled with the multimedia bar on the upper right. 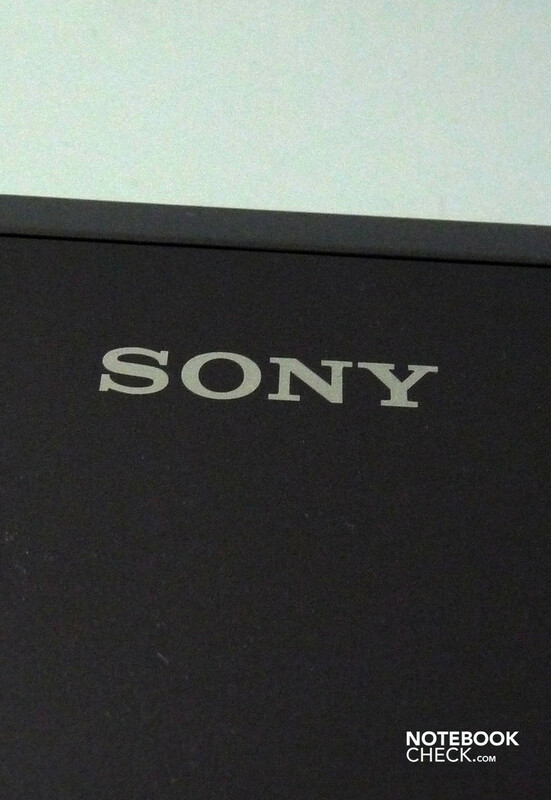 Sony uses, as so often, a chiclet design for the keyboard. ...but a numerical block is missing. Otherwise, the Vaio FW has been equipped with ATI and Intel components. Sony offers a 2 year standard warranty, which can be extended. ...and the three USB 2.0 connections have all been placed on the right's front. ...and promises a color authenticity of 100%. There is a light strip in the hinge so that the user can see it in the front. 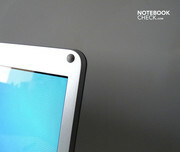 Thus, the notebook is made of exclusive materials like magnesium. ...the notebook has been made in silver inside. Sony uses its own design line, known since a few years. The 16.4 inch notebook is quite massive and also not exactly light. The design probably won't appeal to everyone. ...are nice to look at and offer unusual views. The button lights up green in an activated state. ...as well as WLAN and Bluetooth. Just as good a display that doesn't slip up in the illumination. How heavy Sony's notebook has turned out, despite the modern material magnesium and the ugliness of the plastic covers on the bottom. 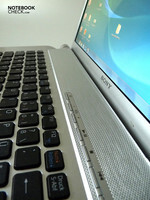 Other efficient multimedia notebooks, like Acer's Aspire 5940 that also already has a Core i7. Even more configuration options are supplied by Dell's Studio XPS 16 or Schenker's MG6. If you'd like it a bit more mobile, you should take Sony's own competitor, the Vaio CW.